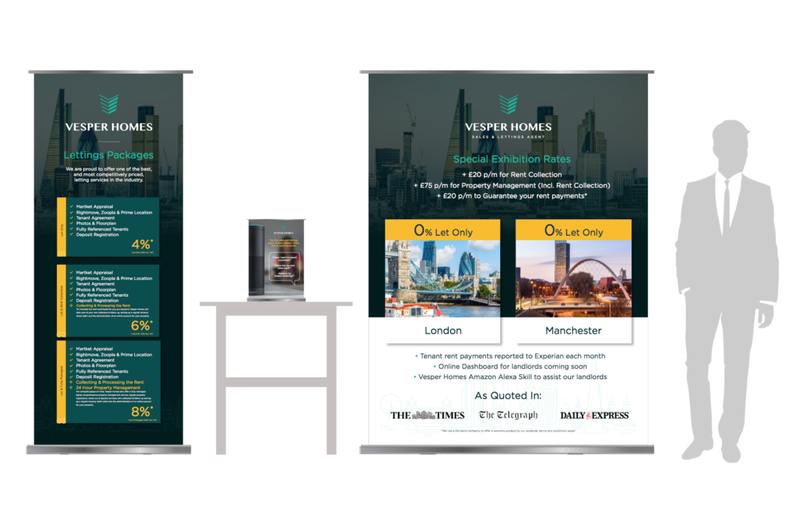 As well as working with Vesper Homes on their social media, we've been working closely with them on their integrated marketing and collateral material both during and after their successful crowdfunding campaign that raised over £120,000. Vesper Homes approached us just after they'd rebranded initially to help them with their social media during an ambitious crowdfunding campaign which aimed to raise £100,000 in order to help them build an online technology platform for landlords. After starting a new social media strategy, we began to work with them on their pitch deck presentation, integrated marketing campaigns (emailers), flyers, business cards and letterheads. Utilising a large database of email contacts to spread awareness about their crowdfunding efforts, we designed, managed and implemented the marketing emails. After surpassing the £100,000 mark, Vesper Homes went on to raise over £120,000. 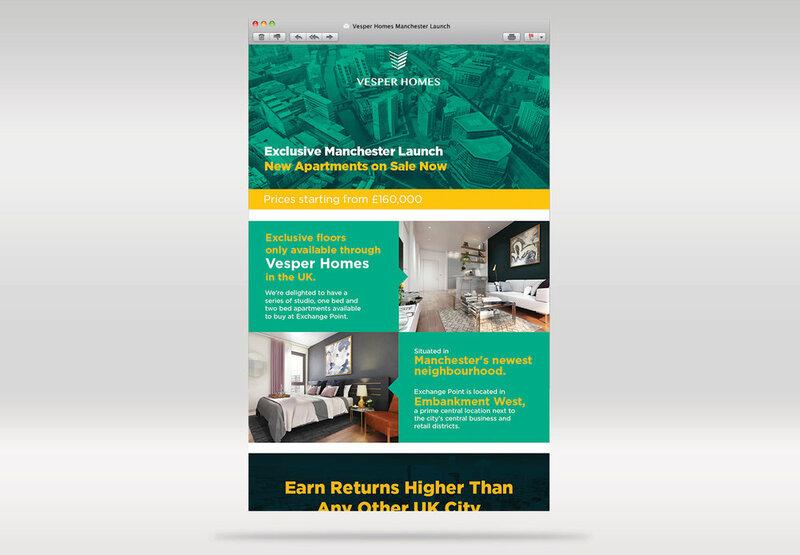 We continue to manage their email marketing campaigns, and recently helped Vesper Homes to secure interest in hundreds of thousands of pounds worth of apartments in a new development in Manchester - all through email marketing! For any start-up, a pitch deck is an essential part of securing investment. 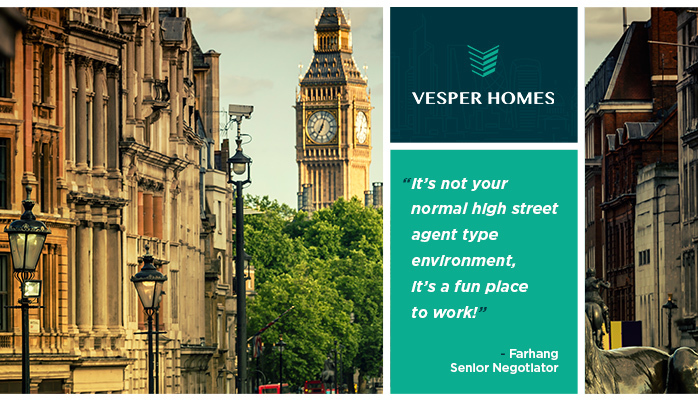 Vesper Homes had to include a pitch deck as part of their Seedrs Crowdfunding campaign. Using a design lead approach, we were able to display the key facts, figures and ideas going forward in an easy-to-digest sixteen page pitch deck. With any informative document, we believe that a good design helps businesses to look more professional. Using infographics, graphs and tables it's easy to display lots of information in a shorter document which makes it easy to read! 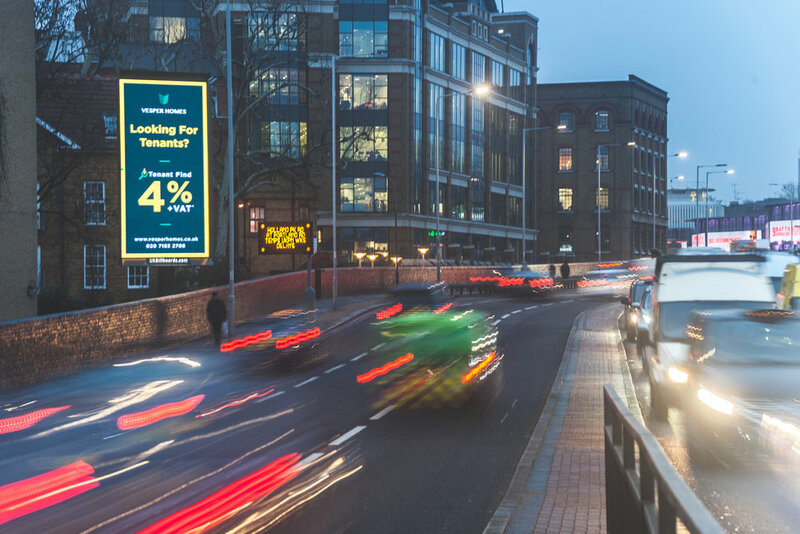 Sassy Digital created the artwork as part of a series of Vesper Homes billboards displayed on busy commuter routes into London.